The new Samsung Transform for Sprint is a premium Android phone that you don’t want to miss out. The cheap Samsung Transform has large 3.5 inch screen and cool apps to touch on-the-go. Whatever you want to do, the Samsung Transform will have you covered. Updating you status on Facebook is just as easy as making a few tabs. Browsing the internet, tapping out texts, updating your status on your favorite social networking website, and drafting emails are made simple and fast with the large 3.5″ full touch screen and full slide-out QWERTY keyboard. Want to catch that special moment? There are 2 cameras on the phone – the rear-facing cheap Samsung Transform is great for any moment. 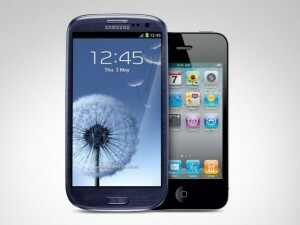 Now is the best time to get the best deal on Samsung Moment Google phone. The much anticipated Samsung Moment for Sprint is coming to you for an incredible low price of only $149 after instant discount. No need to wait for any rebate checks to come in. This is a powerful Android smartphone that features all your favorite Google apps like GTalk, GMail, Google Map, and many more. It also includes Microsoft Exchange Push Email and Outlook. 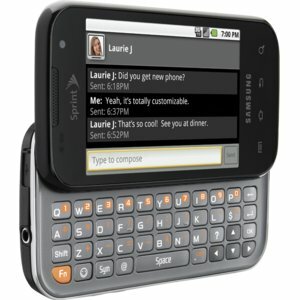 Being the first Google phone for Sprint, there is such a high demand for this phone. And people already preorder it from Sprint. Luckily you have found a better deal here. The Samsung Moment will officially goes on sale on November 2, 2009. However, you can get the best Samsung Moment deal today for only $149. This is by far the best deal you can find on any Android phones – Sprint’s everything plan includes unlimited emails, text messages, GPS, and Mobile TV. Go green and do your parts to protect the environment. Yes, you can help by getting the free Samsung Reclaim Green phone from Sprint. The new green Sprint Reclaim by Samsung is the first eco-friendly messaging phone that’s designed for environmentally conscious consumers. You don’t have to sacrifice on having the latest technology by going “green”. The most amazing part of the free Samsung Reclaim phone is that it’s made up of 80% recyclable materials. It is built using Bio-Plastic materials extracted from corn. Sprint Reclaim is cool phone that everyone loves. You can instantly connect and share your important or funny moments with friends on some of the most popular social networking sites like Facebook, MySpace, AND YouTube. Take pictures, videos and you can add up to 32GB microSD memory Card for all your data needs. Get a free Samsung Reclaim and Sprint will donate $2 The Nature Conservancy’s Adopt an Acre program. Both the green blue Samsung Reclaim are instock today and you can get up to 5 free Sprint Reclaim phones – Sprint will donate $10. Good deal and good deed! Get free express shipping too when you shop online. 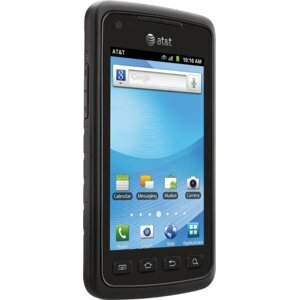 We all know touchscreen phones are hot and the free Samsung Solstice A887 is even hotter. The new Samsung Solstice for AT&T features a large, touch sensitive screen. Everything is at your finger tips. This phone runs on latest 3G/HSDPA AT&T network and wherever you do with Solstice is going to be faster and more responsive. You can have quick access to Facebook and MySpace with just a single touch. The free Samsung Solstice is fully loaded with the most advanced features – emails, Instant Messenger, Web, GPS, mp3 player, and 2.0 megapixel camera/camcorder. 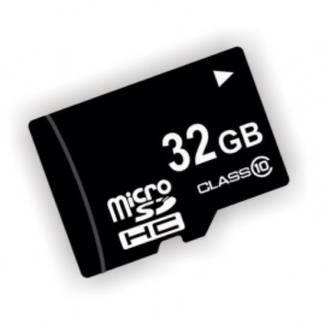 With expandable memory of up to 16GB, you can store all the music and photos you want. And just in time for AT&T Back to School Sale, you can have the Samsung Solstice absolutely free out of pocket plus free shipping via FedEx. Again this deal is NOT available in stores. Hurry before it runs out of stock. 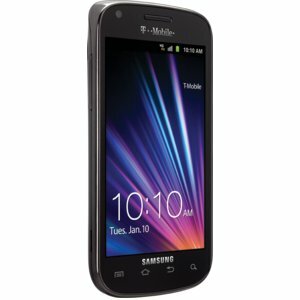 Want a quick text messaging phone without too much extras, then you need a free Samsung t349 Silver Lime for T-Mobile. What set the Samsung T349 apart from other text messaging phones is that it has 20 keys instead of full QWERTY or regular keypads. It sort of works like SureType keyboard on the Pearl Flip 8220. The free Samsung T349 Silver Lime is designed for texters and those who want to be social networking with other all the time. Not only can you send SMS, you can even send video messages. Yup, the built-in 1.3 megapixel camera let you take pictures and short videos so you can share with friends wherever you go. To save more on text messaging with family members, you can upgrade to TMobile family text message plan later after you try out the phone. Affordable, compact, and stylish. If you are looking for a nice messaging phone, the Samsung T349 is all you need.